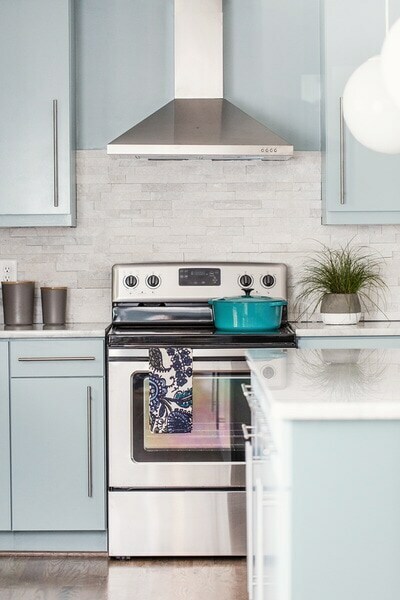 When the Pantone Color Institute announced the 2017 Color of the Year, we could barely contain our excitement. 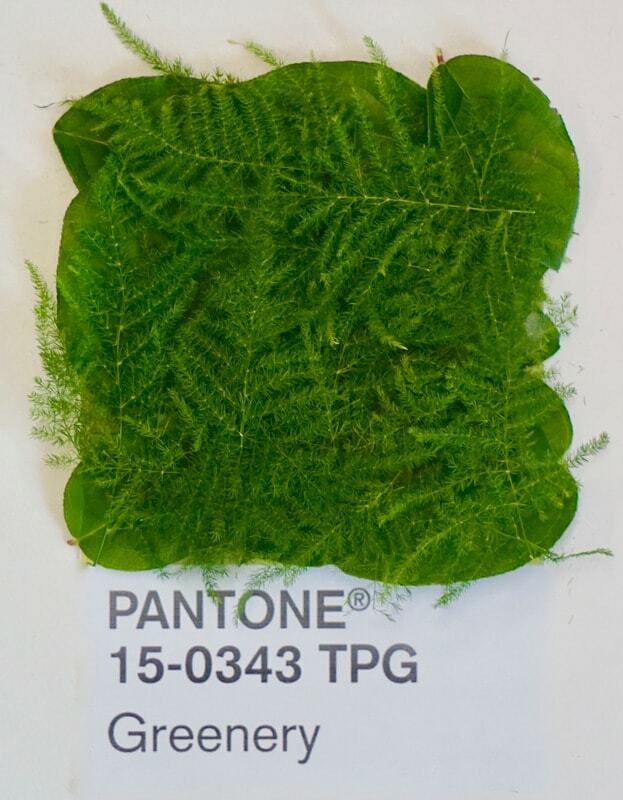 Pantone 15-0343, named “Greenery,” is a permanent staple of our daily lives as florists. 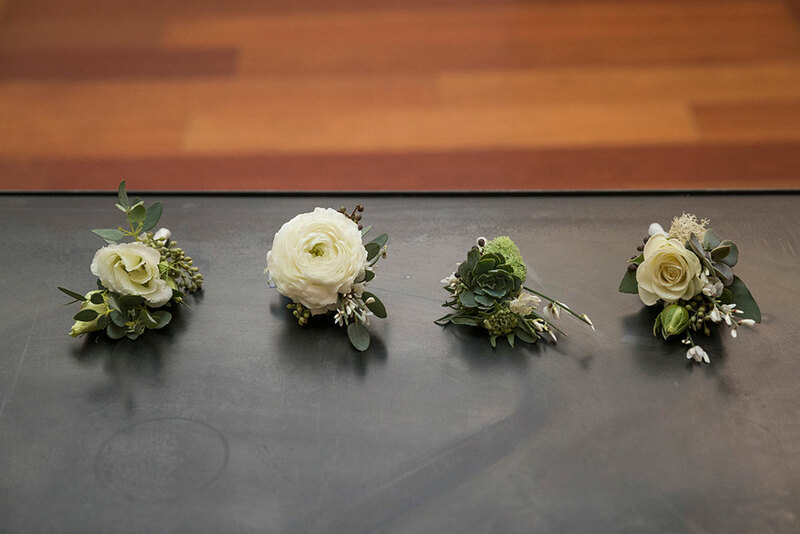 Greenery, whether used in great quantities or as a subtle accent, manifests energy and balance. 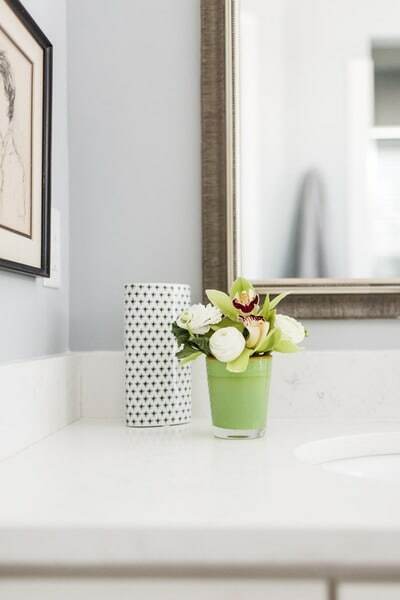 It’s versatile nature lends itself to endless palette and pairing opportunities, especially in the world of floral design. The extent of our fondness for Pantone’s 2017 color choice spans beyond a single calendar year. Nevertheless, we’re thrilled that it’s receiving a much-deserved turn in the spotlight. 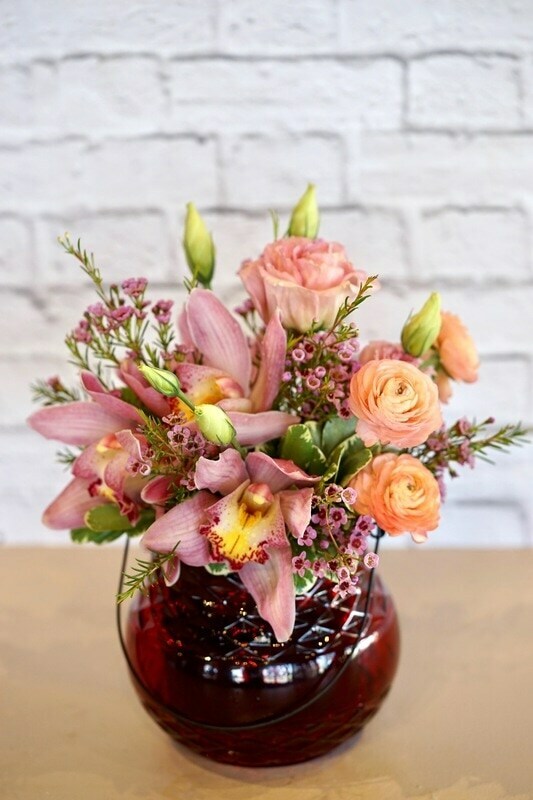 Our Raleigh, NC location, Fallon’s Flowers, frequently collaborates with an extremely talented, local interior designer and photographer duo. 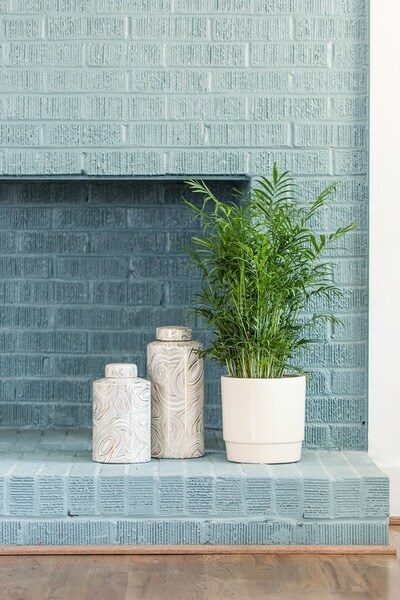 In the recent past, Liz Goldberg of Carolyn Leona interior design accented her finished project with florals and plants that revolved around the hues of Greenery. Photographer Michael Moss’ photos not only document Liz’s design artistry, but also the brilliance of Greenery’s presence in the home. To see Pantone's full Color of the Year report, click here. Check out Carolyn Leona on Instagram by clicking here. ​Check out Michael Moss on Instagram by clicking here. 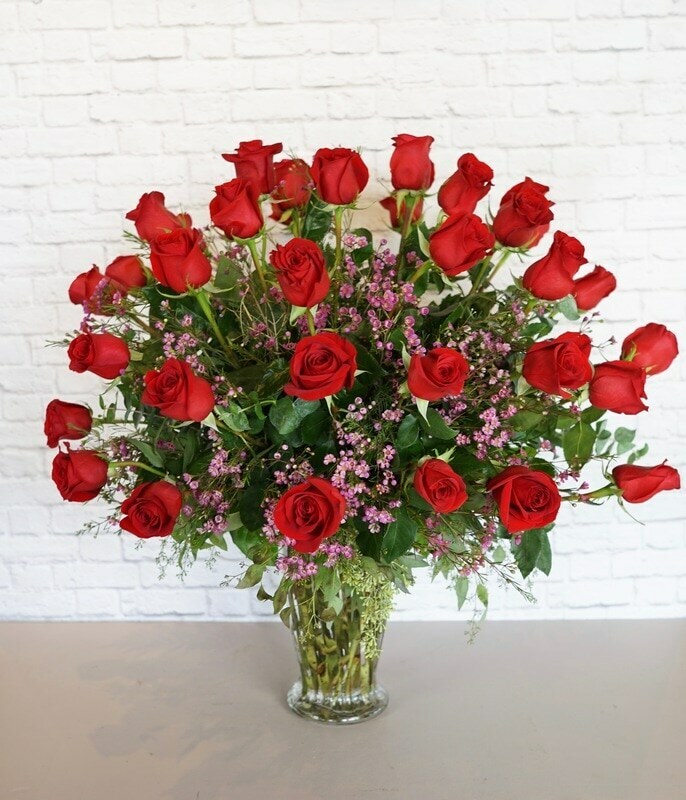 As florists, we feel so lucky every Valentine's Day to have the honor of delivering gestures of love for thousands of people. It's a great feeling to be a part of this season of affection and admiration! That being said, we also know how hard it can be to pick appropriate gifts for all of life's different relationships. 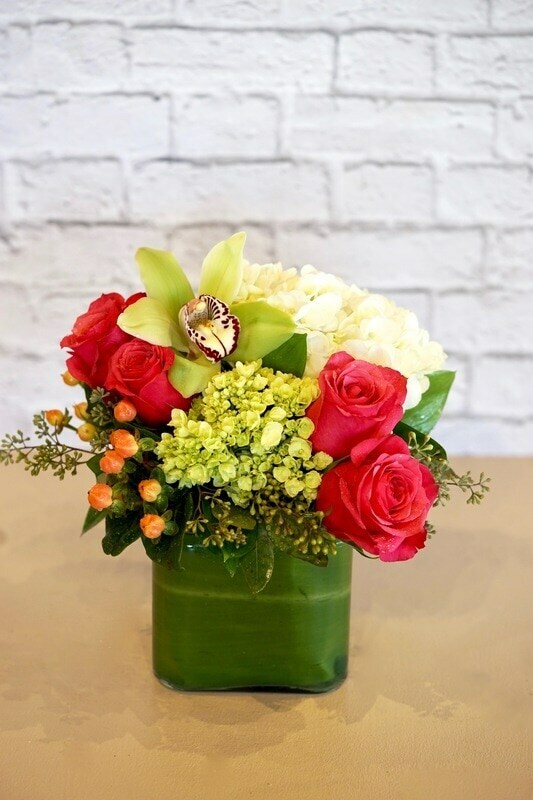 That's why we've selected our favorite flower arrangements for everything from your soulmate to your bestie. We're extremely proud of our Valentine's Day 2017 collection and feel it's our best one yet! (One small disclaimer: our options vary by location, so not everything featured here is available at every store.) Enjoy! 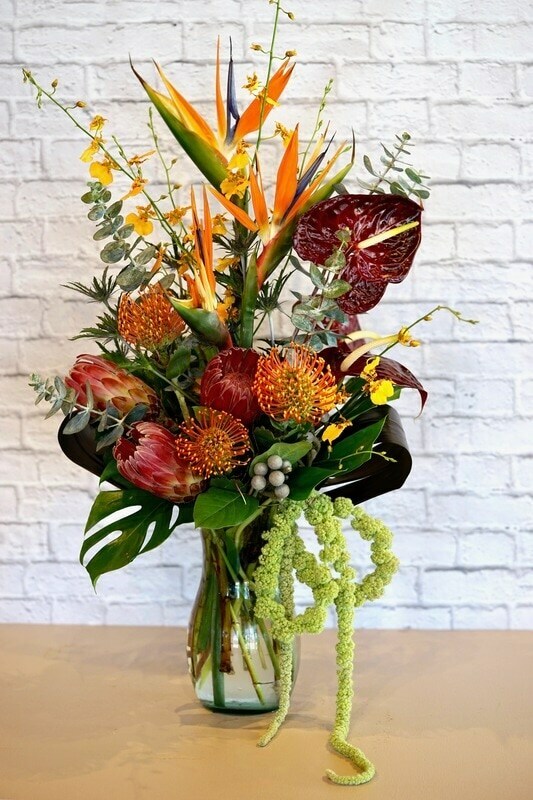 Ok so maybe this isn't a classic category for shoppers, but we have the ultimate stunner for anyone who appreciates exotic blooms. It's called Tropical Romance, and it's a colorful work of art! What an incredible year we had in 2016! 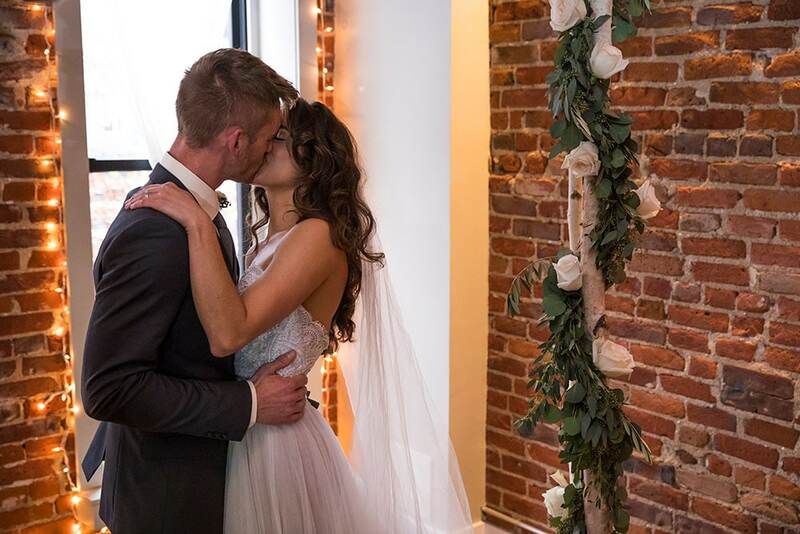 We participated in styled shoots all around the country and made connections with incredibly talented photographers. We participated in the #ADBaroque challenge on Instagram, which was such a fun way to experiment with still-life arrangements. 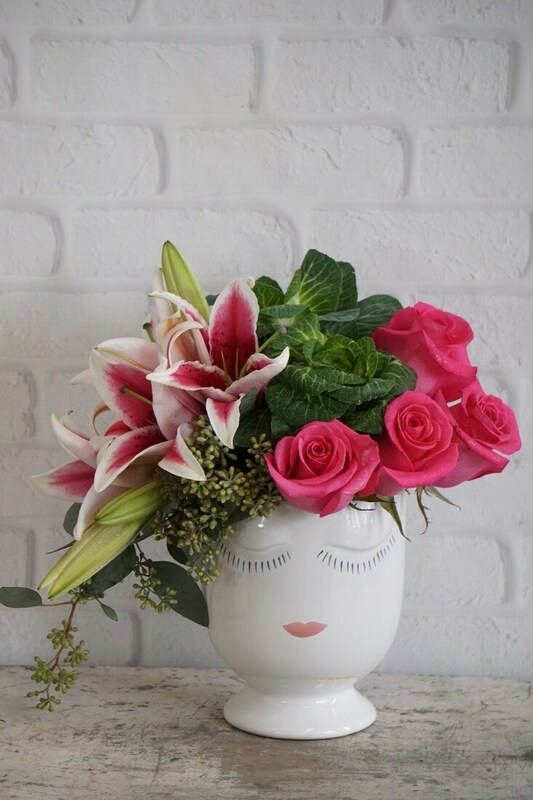 We made a social media star out of our favorite Accent Decor container, the Celfie Vase, an overnight sensation whose floral hairdos never fail to make us smile. 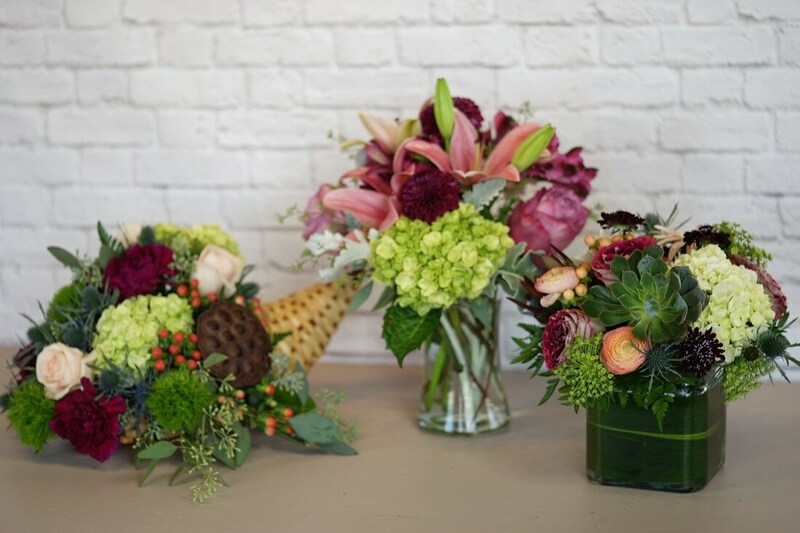 We held our own photoshoots with buckets of blooms and wedding bouquets, and our DIY Design Classes at our Denver location, Lehrer's Flowers, took off in a beautiful way! 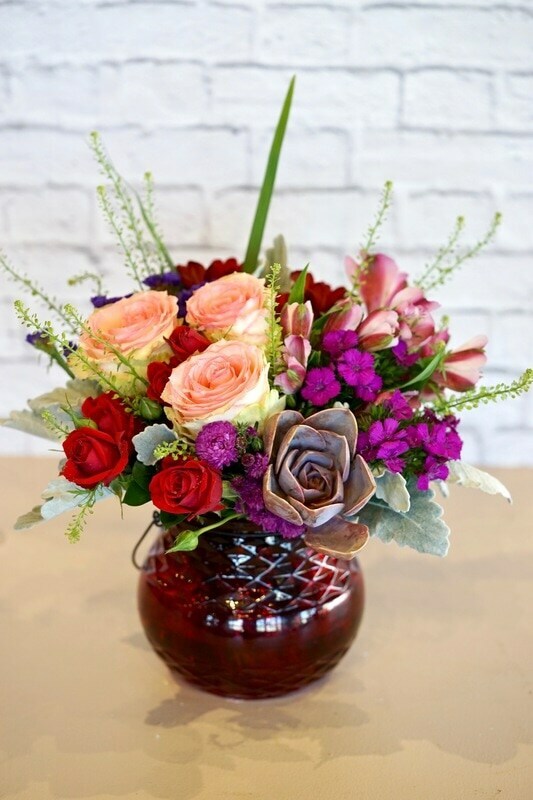 We've loved connecting with all those Colorado flower lovers out there. 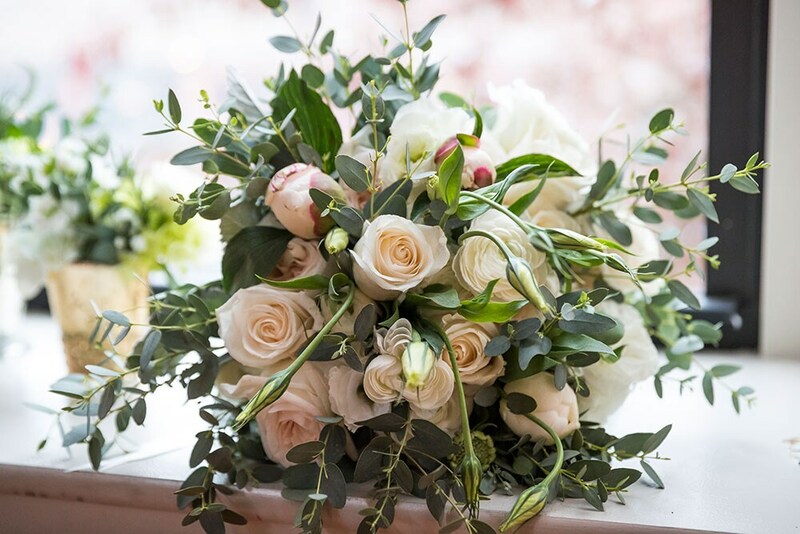 Below, we've complied a gallery of our top 10 photos from this year - each represents a special moment for us in the floral industry. We can't wait to see what 2017 has in store! 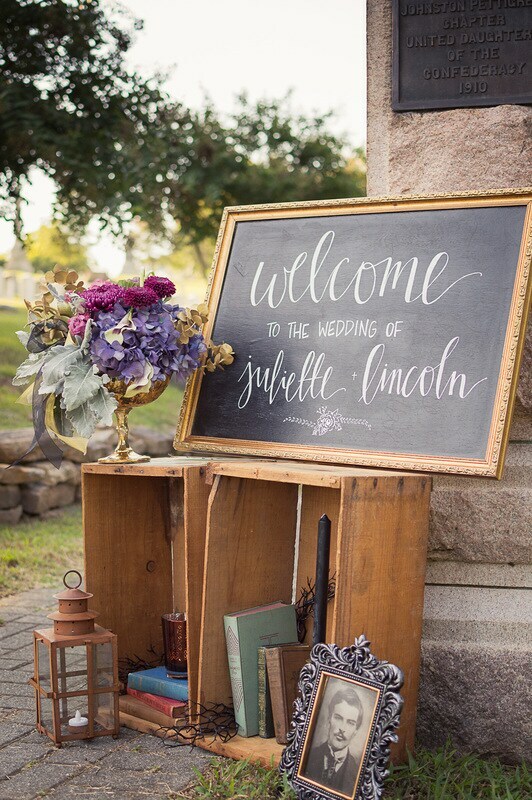 This sweet styled shoot with Evermore Creation in Denver gave us all the Fall feels! 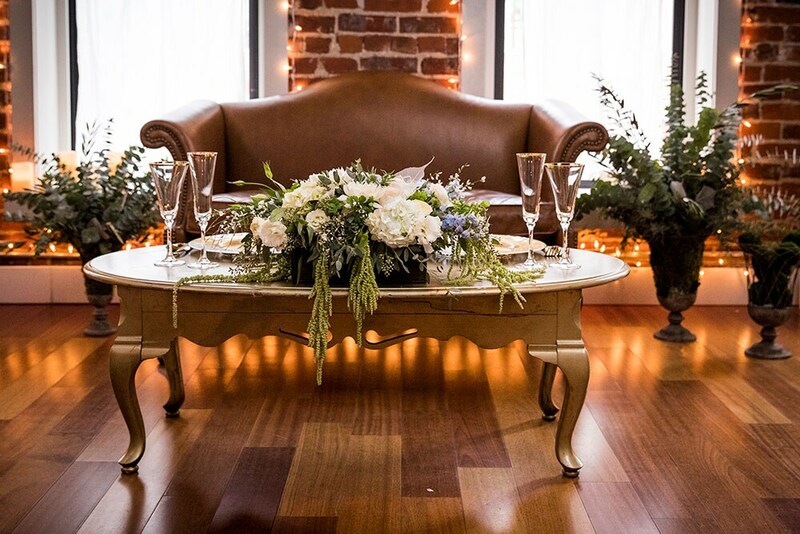 Another styled shoot with Evermore Creation in Denver brought together tons of talented local vendors at 2127 Larimer for a Vintage Amour Winter Wonderland! 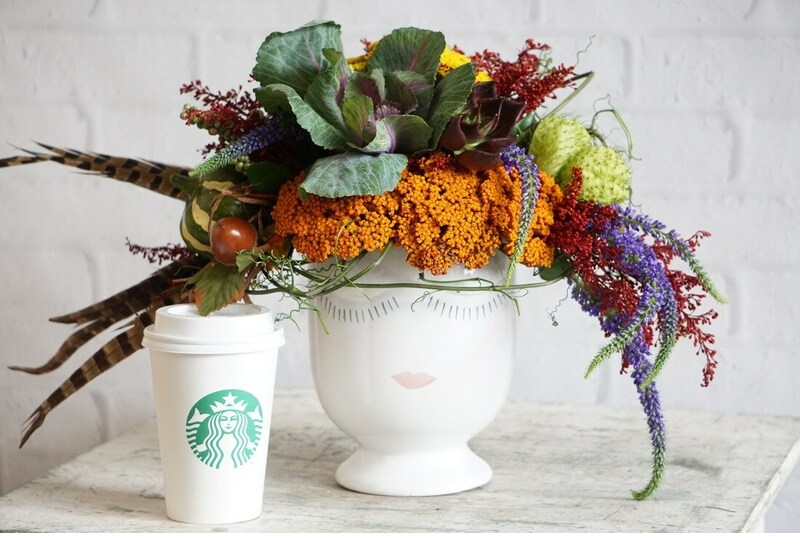 Flora looking marvelous in her Fall 'do with a PSL from Starbucks in hand.. of course! 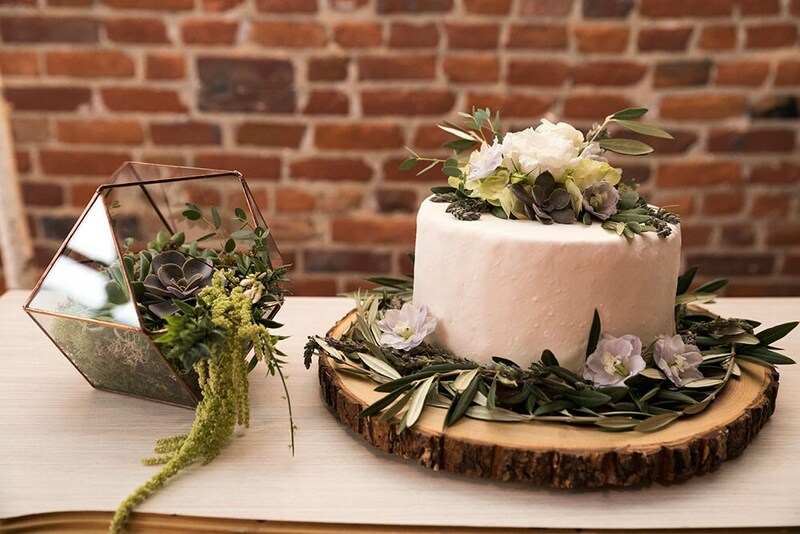 Drop-dead gorgeousness from Katherine Miles Jones Photography and stunning summer flowers by our Raleigh location, Fallon's Flowers. 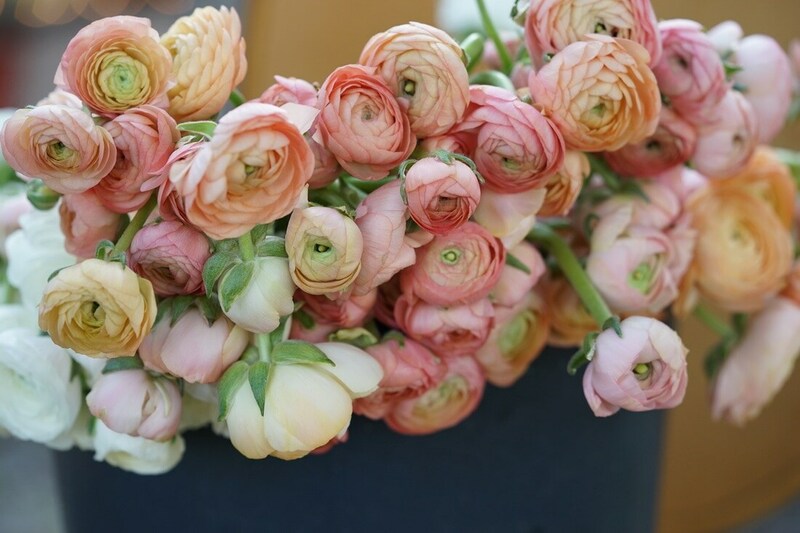 We found buckets of ranunculus when prepping for our Valentine's Day shoot and couldn't resist snapping a few photos of these beauties. One of six entries we submitted to the #ADBaroque Challenge - we loved participating in this creative collaboration! 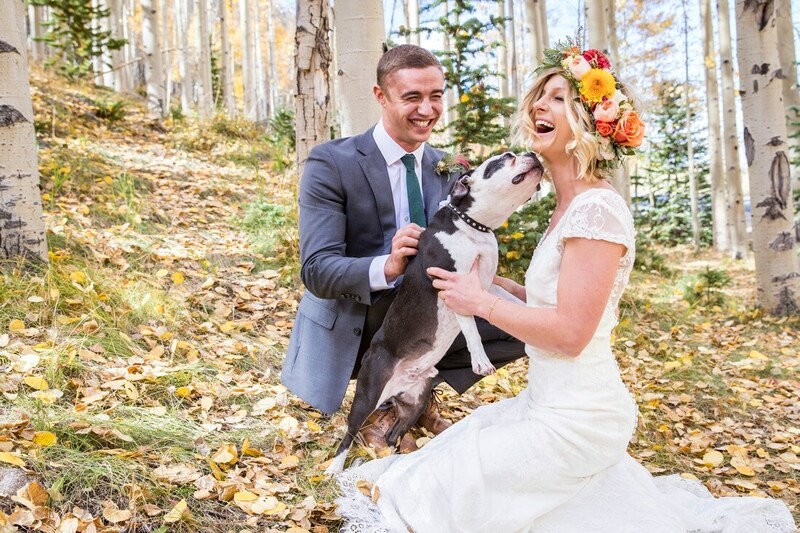 A sunny Denver wedding with photography by Nick Sparks that left us breathless! 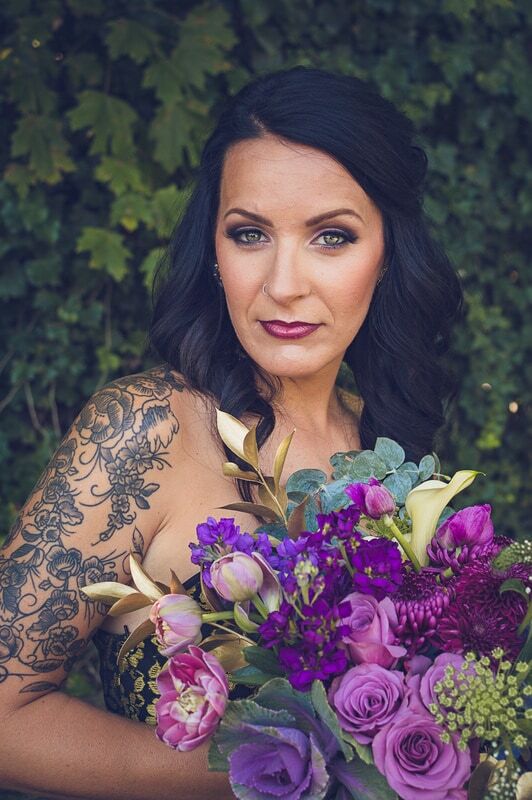 Ombre-amazingness in this photo to promote our February Design Class in Denver! 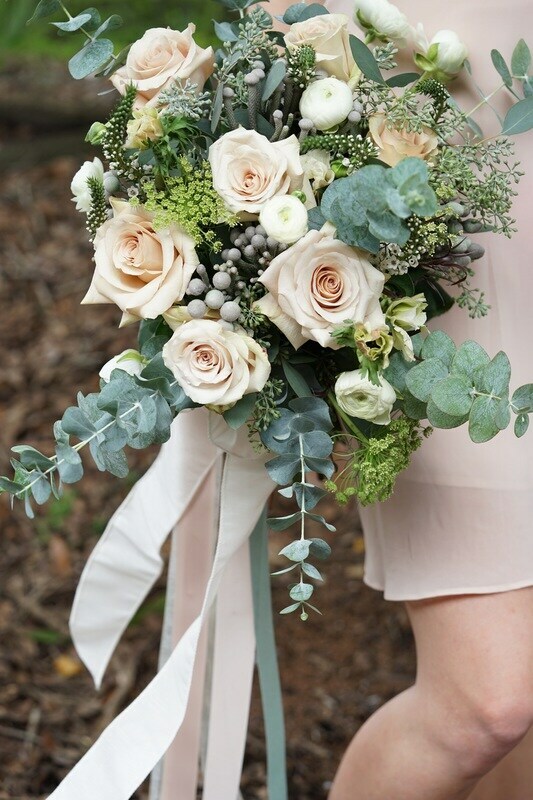 Fresh from our Fort Myers store, this lovely pastel prettiness is one of our favorite bridal bouquets of the year. 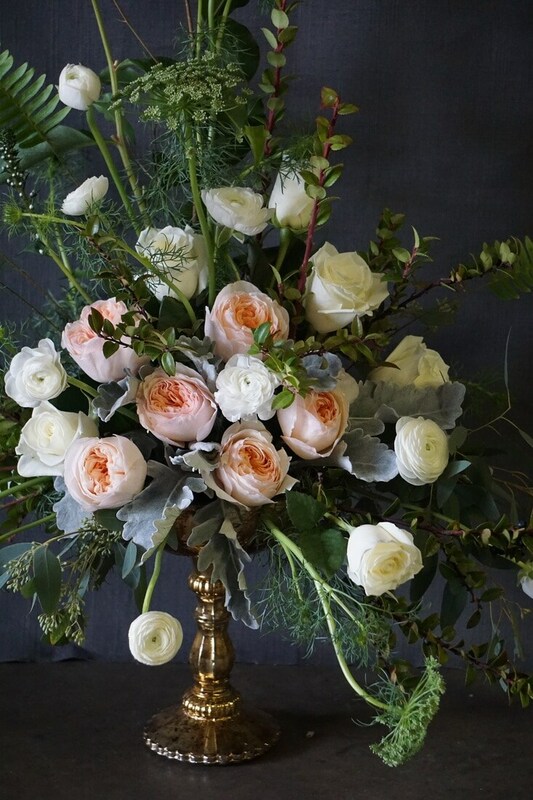 We couldn't resist sharing one more of our favorites from the #ADBaroque Challenge.. these delicate garden roses plus an Accent Decor compote had us in love! With Christmas just around the corner, we decided to create our very own DIY video that shows all the steps (in just 3 minutes!) 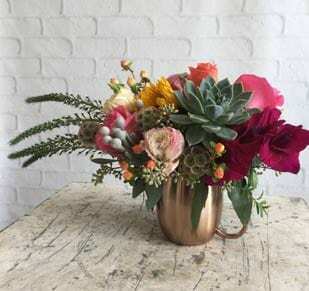 to making your very own Holiday centerpiece. 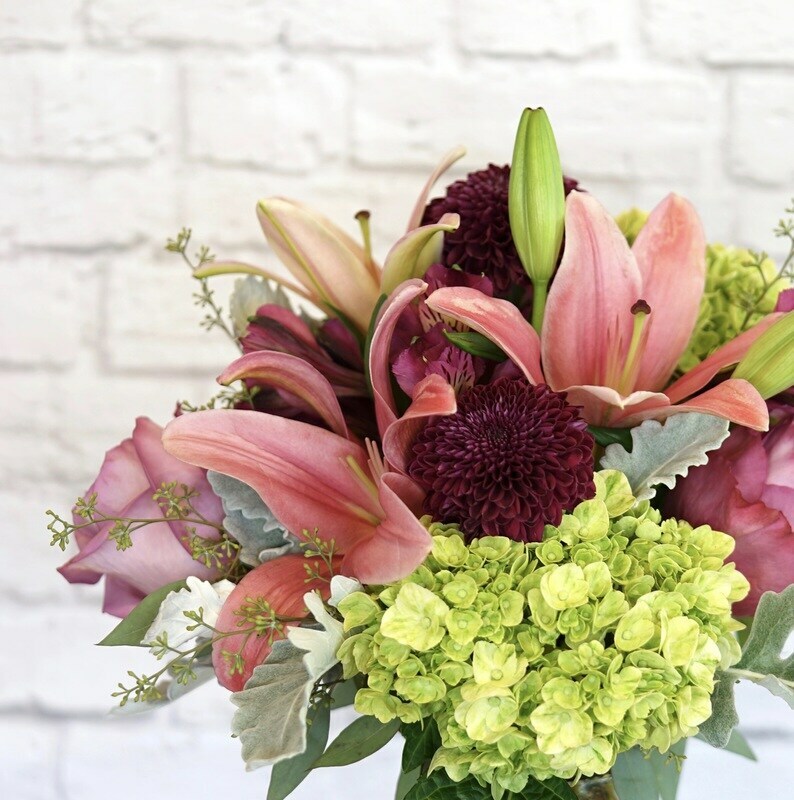 After all, no Holiday dinner table is complete without flowers! 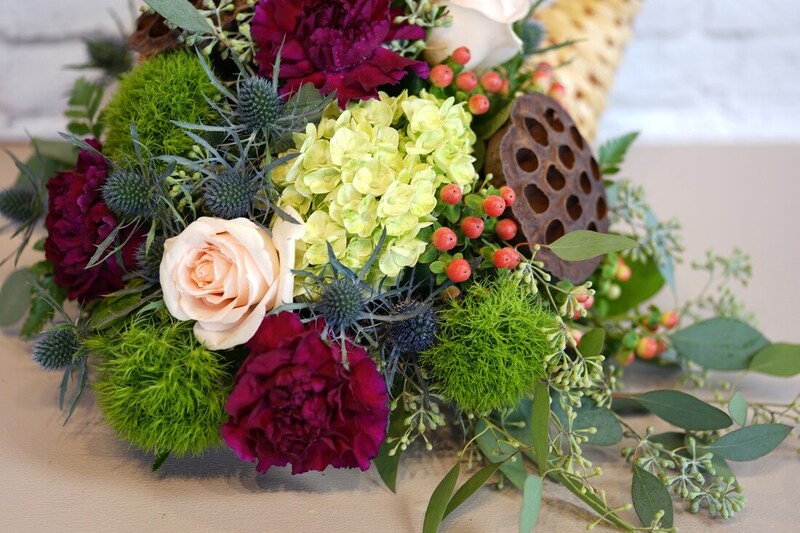 Learning to create a table centerpiece is a skill that will come in handy for more than just the Holiday season. Once you've watched our video, we encourage you to give it a try. 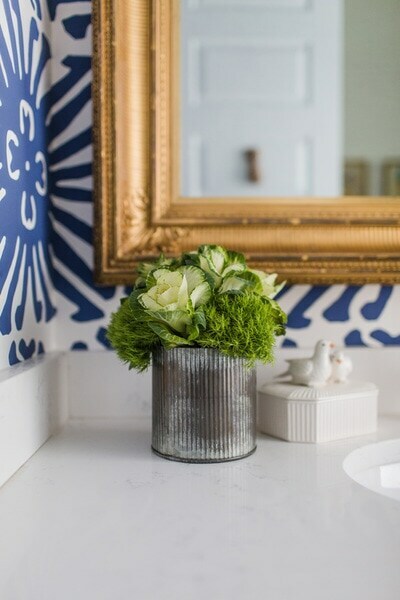 Grab your favorite container, various types of seaonal foilage, and a handful of flowers. We believe in you! Happy Holidays and Happy Designing! Pro-Tip: Don't be afraid to adventure into your yard to forage for greenery. 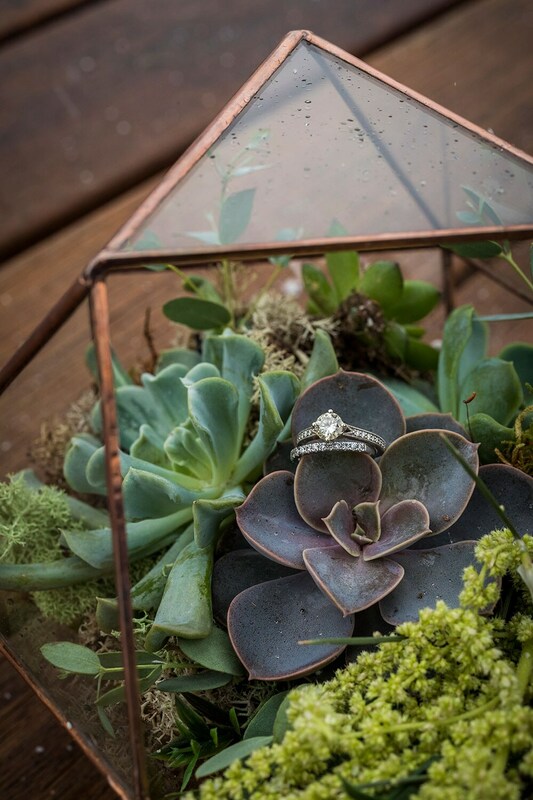 Using various textures and colors of foilage is a recipe for success! 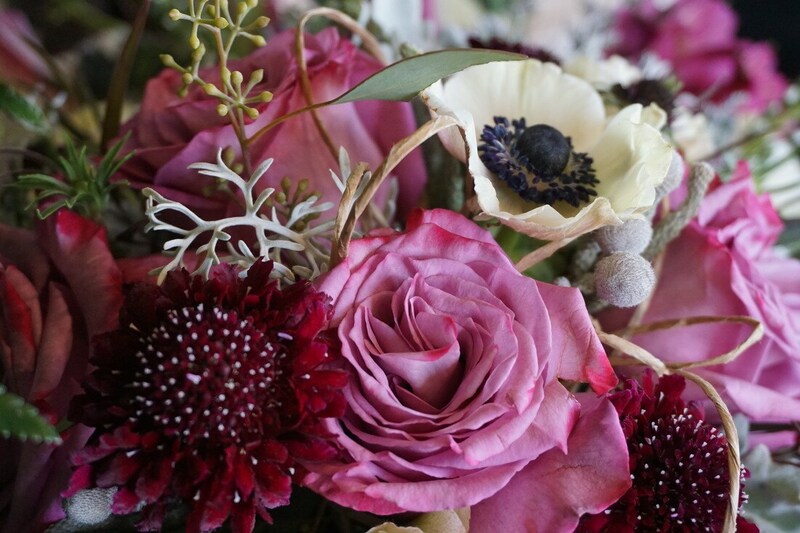 Now that it’s December, we are embracing the beauty of winter. 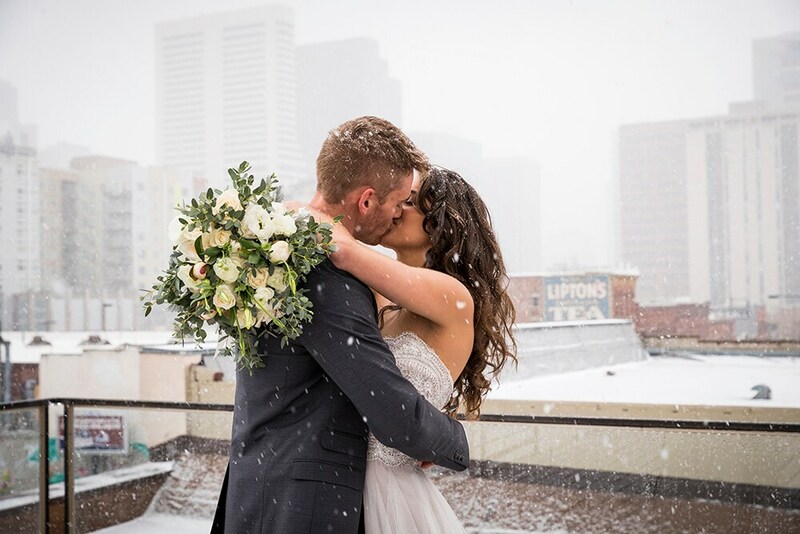 This season truly has a loveliness all its own, and that loveliness came shining through when our Denver location, Lehrer’s Flowers, worked on a styled shoot that just so happened to coincide with the first snow of the season. 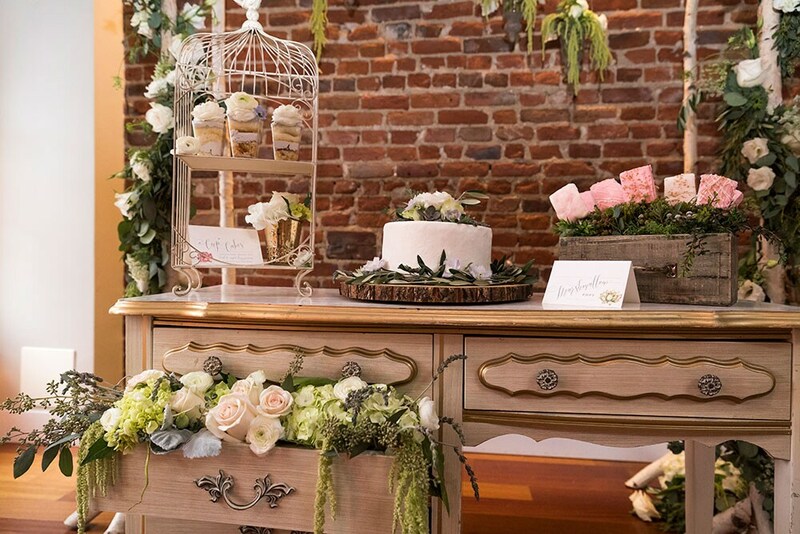 We teamed up with an awesome lineup of vendors to create a Vintage Amour aesthetic, inspired by rural France - its bakeries, romance, and lush natural greenery. 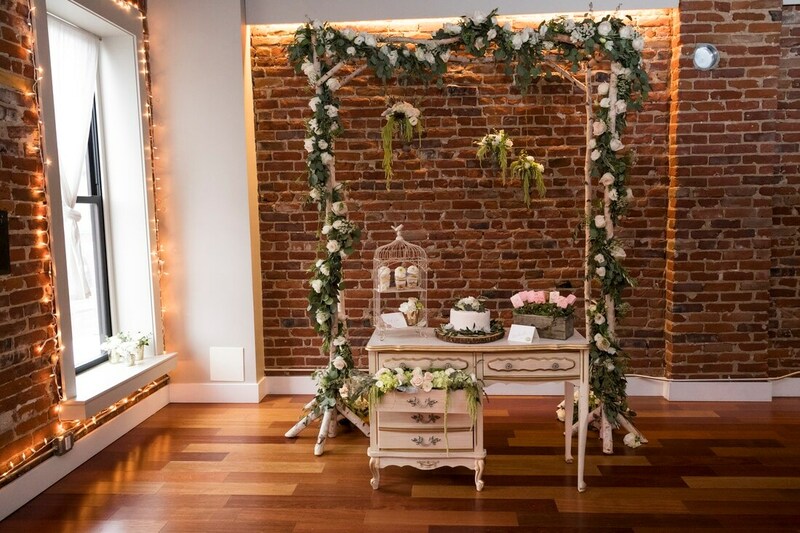 Evermore Creation led the photography and styling efforts, and we enjoyed a gorgeous venue in 2127 Larimer. 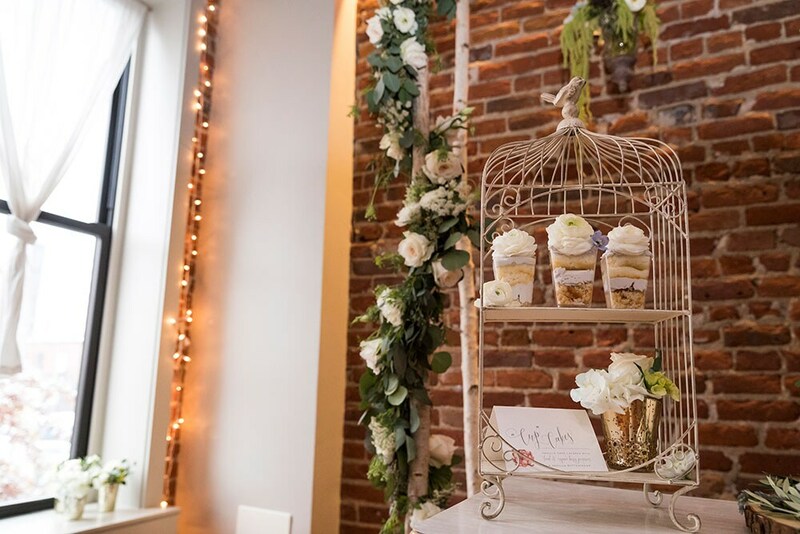 Little Bites Baking Co. provided a gorgeous assortment of baked goodies and treats, and Blue Bridal came through with a breathtaking wedding dress for our model. Exquisite event rentals were provided by Good Ol’ Fashioned Party and Mountain Paper designed and printed a luxe, custom stationery suite. 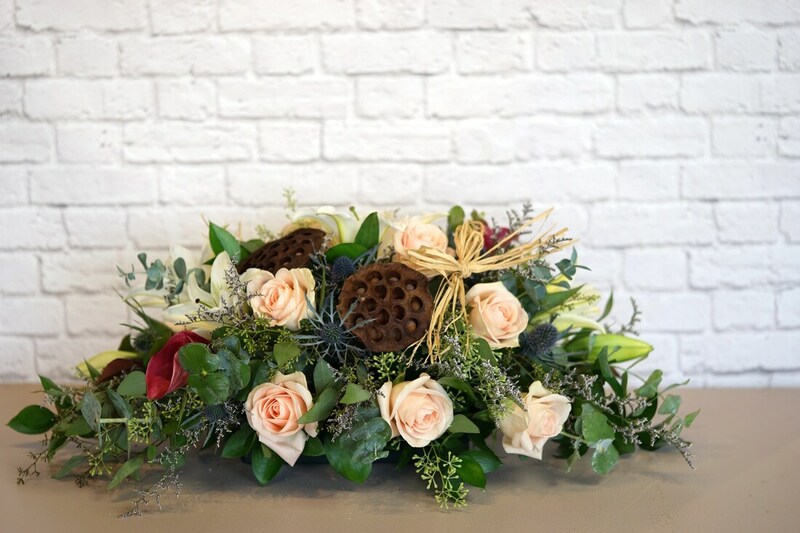 When crafting our vision for the flowers, we knew we wanted to maintain a very natural, organic look - as if the flowers had all just been picked from a field in Avignon. 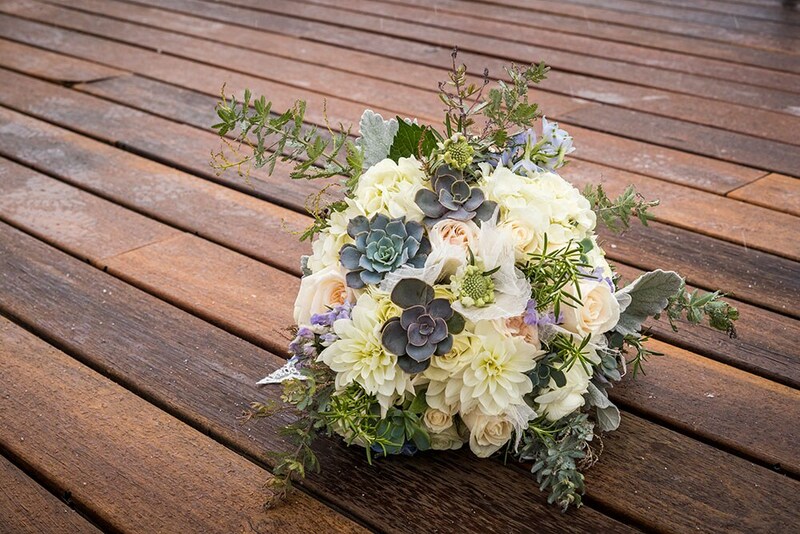 We went heavy on the greens, including plenty of eucalyptus in all its forms, olive branches, dusty miller, moss, and rosemary. 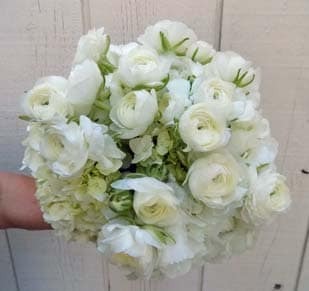 For florals we maintained a palette of whites, ivories, and very soft pastels, mixing ranunculus, peonies, lisianthus, garden roses, hanging amaranthus, and several succulents for good measure. Happy first day of the last month of 2016! Not only are we in disbelief that 2016 is almost over, we're also baffled that it has been a month since our last blog post. Truthfully, a whirlwind of new opportunities kept us immersed in special projects such as design contests, photoshoots, and more fabulous adventures. Before we knew it, an entire month had come and gone in what seemed like no time at all. We're entering this new month with thankful hearts for the busy times that awarded us with a wealth of new stories, news and photos that we can't wait to share with you over the next few weeks. 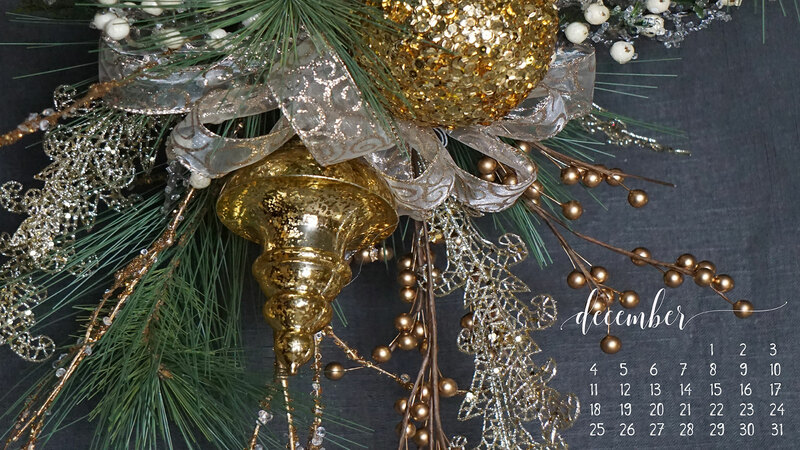 As we finish gathering our favorite November moments to share with you tomorrow, we'll leave you with our festive December wallpaper downloads. 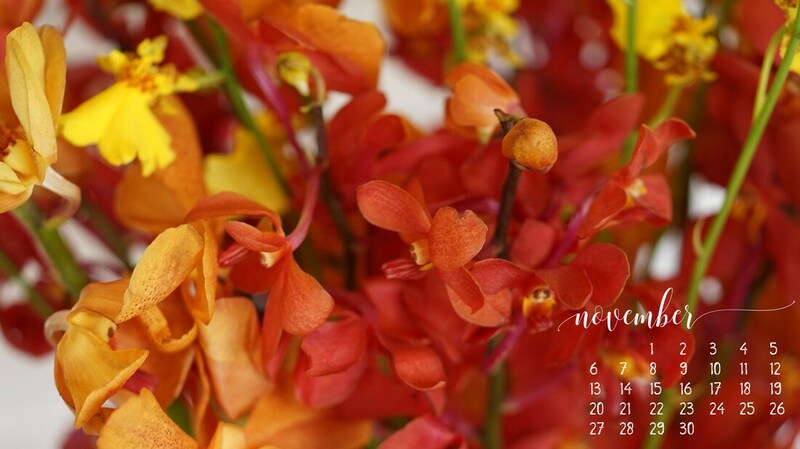 The images for this month's wallpapers were taken at our Raleigh, NC location, Fallon's Flowers. This festive and sparkly decor is just a portion of a breathtaking artificial decor arrangement designed for their Christmas Open House. Once the image opens in a new window, save the photo to your phone/camera roll. 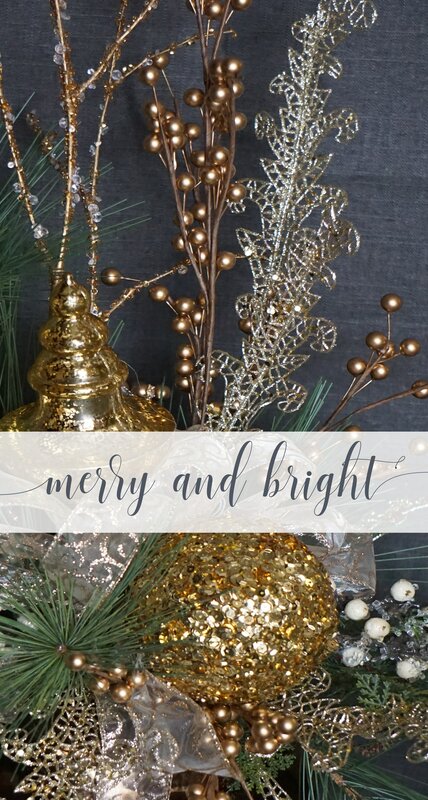 Wishing you all the joy, peace, and happiness this December. Enjoy your downloads! Can you believe that November is already here? Where did this year go? November is a wonderful (and busy!) 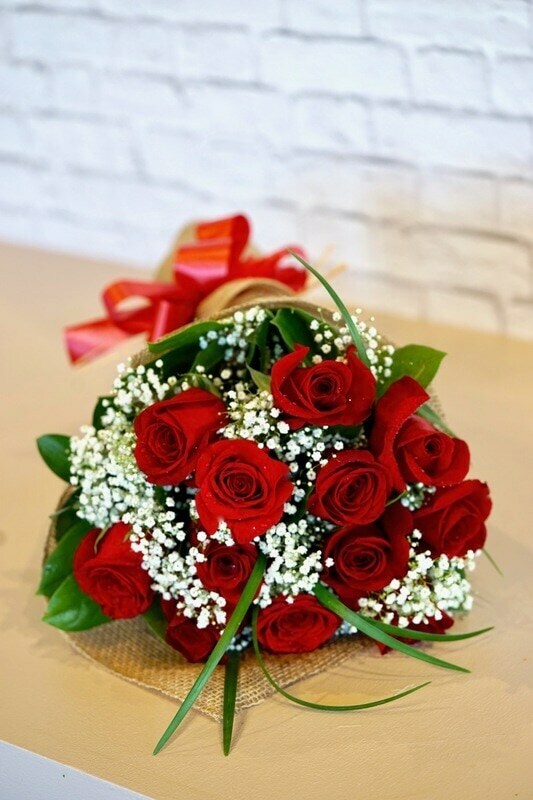 month for everyone. 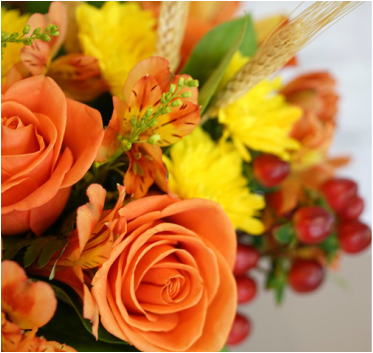 As florists, we are delighted to immerse ourselves in the rustic and bold colors and floral varieties of Autumn. Our November Desktop Wallpaper - complete with a nifty calendar - will be so helpful, especially to count down the days until Thanksgiving! Also, our iPhone wallpaper is a gentle reminder to revel in the reason for this season. We love our November downloads and hope you do, too! Click below to download. Once the image opens in a new window, right click and save the file to your computer. 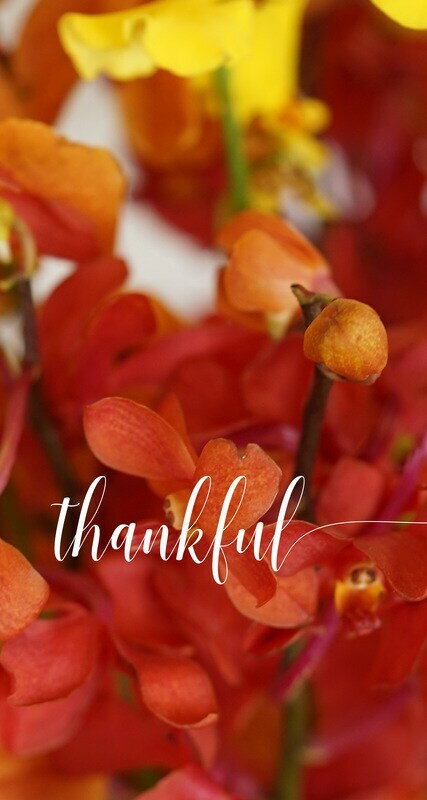 We have so much to be thankful for - especially our amazing customers. We are grateful for you and your patronage. Have a wonderful month of November! Enjoy your wallpapers! Legal Disclaimer: Our desktop and mobile wallpapers are free for personal use only. 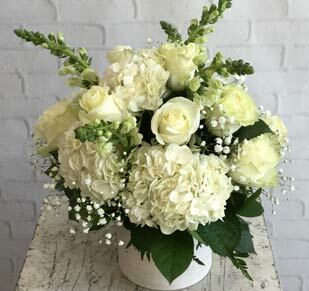 If you share these images in any way, please include a link to our blog (Blooms 'N Banter) and give written credit to McCarthy Group Florists. 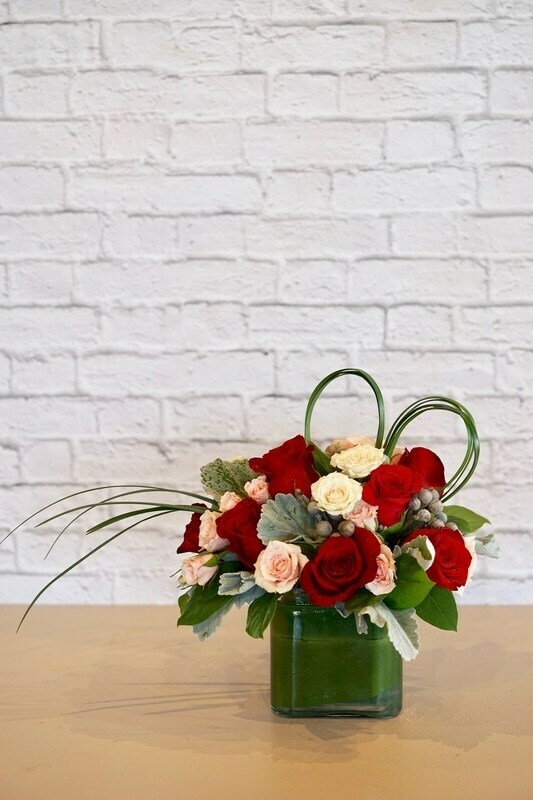 The use of these images for commercial purposes is prohibited without the permission of McCarthy Group Florists. Happy Friday, friends! We hope you're looking forward to a fun and festive weekend of Halloween celebrations! In honor of the approaching holiday, we decided that it was time to show off our most avant-garde collaboration of this season. 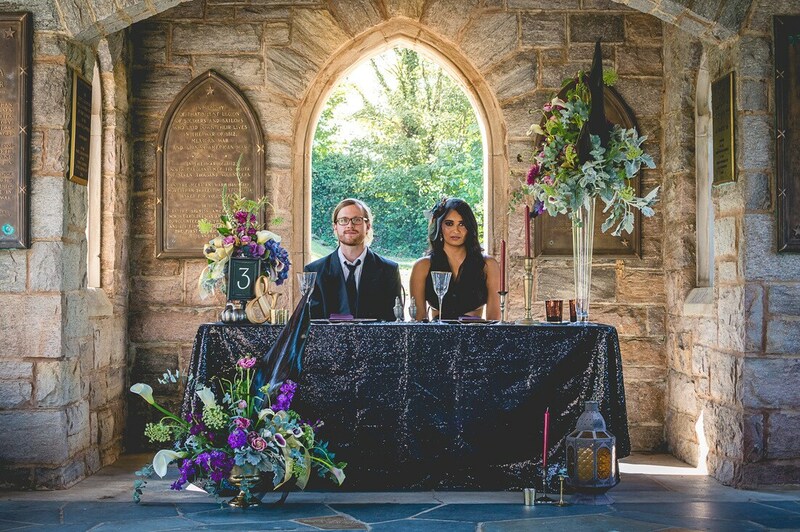 Our Raleigh, North Carolina location, Fallon's Flowers, participated in a styled shoot that is sure to give you all the dark romance, Halloween feels. 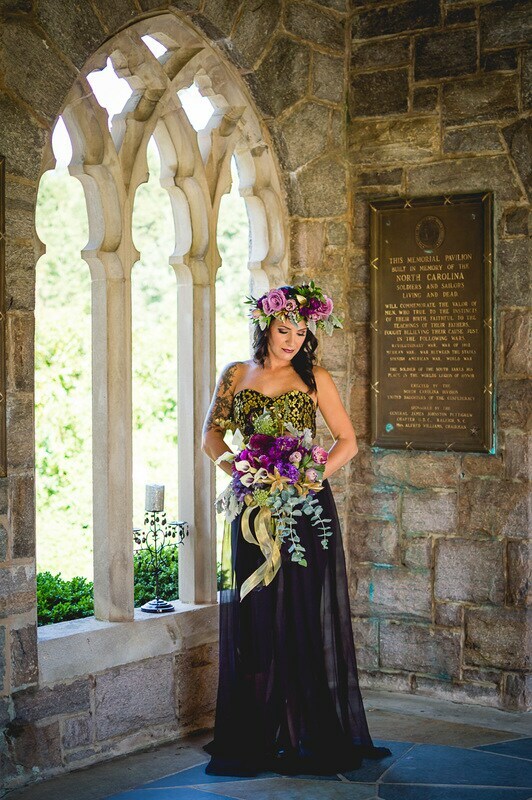 With a theme of "edgy elegance" and the shooting location being the Historic Oakwood Cemetery, our wedding designer, Diane, brilliantly pulled out all the stops. 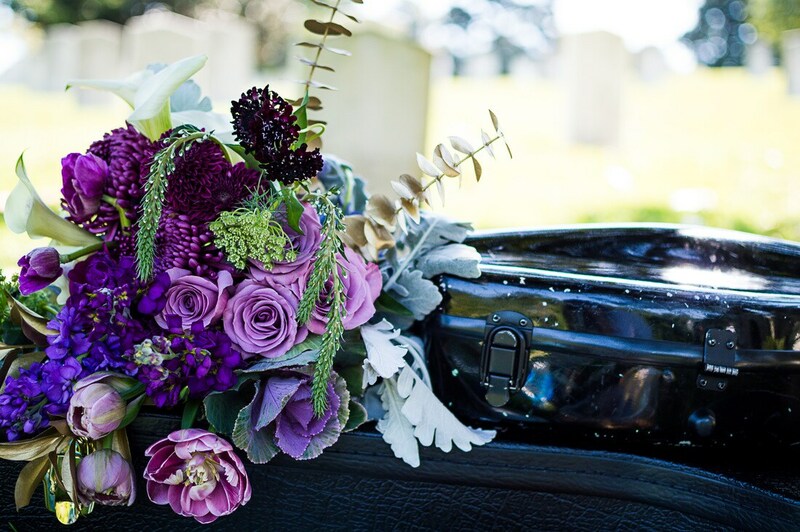 ​The main colors used for the florals were various tones of purple, cream, and gold. 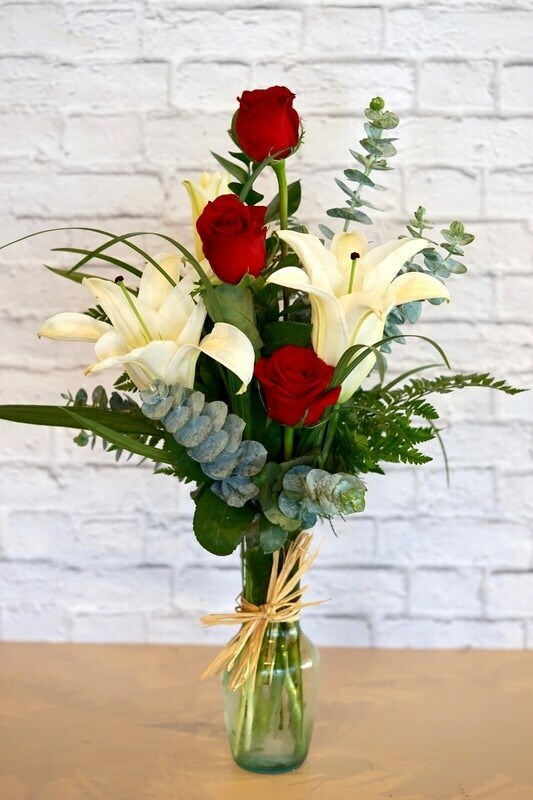 Diane incorporated Moody Blues roses, deep purple hydrangea, calla lilies, tulips, stock, scabiosa, and an abundance of textural foliage and eucalyptus. 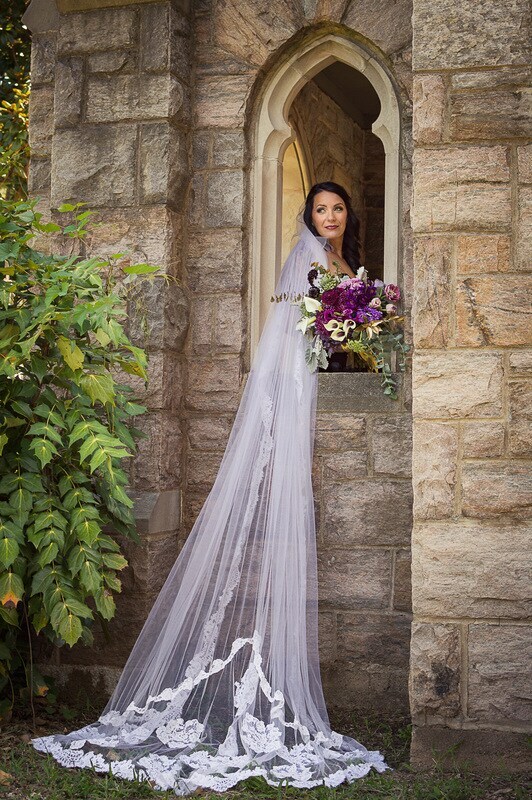 The photos turned out absolutely amazing and was even featured on Borrowed & Blue. 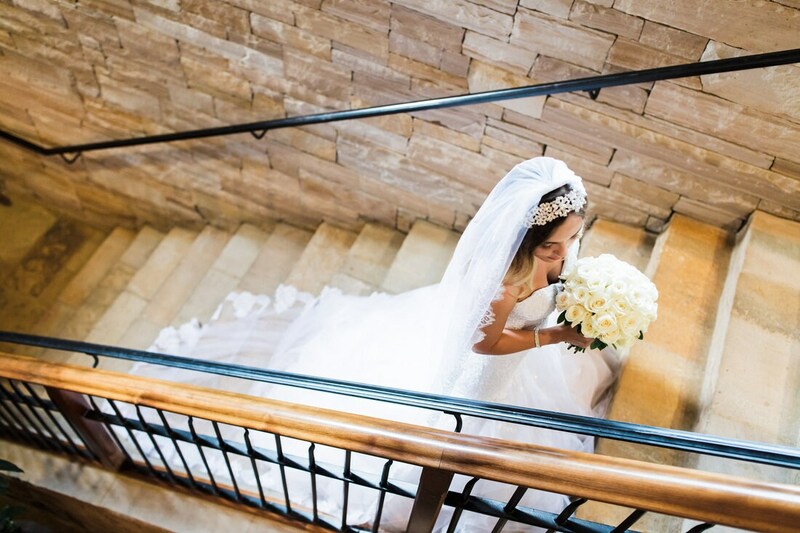 Thank you so much to our "friendor" Audrey of Rose Trail Images for sharing her amazing photos with us! See the bottom of this post for a complete list of the rockstar vendor team that made this shoot all possible. Have a safe and happy Halloween, flower friends! 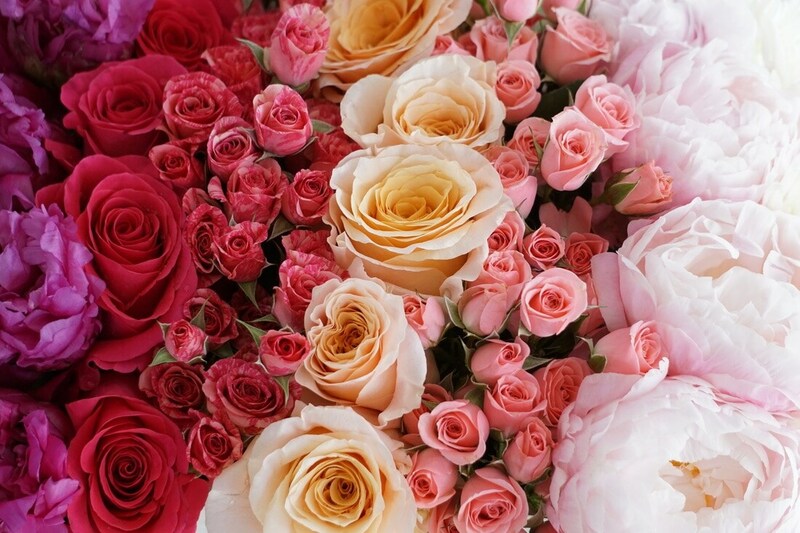 Flowers and fashion might be two of life's greatest gifts. If you read our last blog post, then you already know that our revamped, exclusive Fall 2016 collection was a true labor of love. We branched out with varying color palettes and bid farewell to a menu of only red, orange and yellow combinations. ​Even though we're not in the fashion industry, we still are in the business of catering to styles and trends. Pantone's 2016 Fashion Report proved that we took a leap of faith in the right direction. 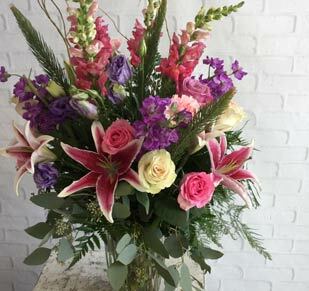 The majority of our new arrangements feature at least one of the Pantone colors reported. Let's see how the top colors of Fall 2016 show themselves in our new fall line. "Fall 2016: A Unity of Strength, Confidence and Complexity." 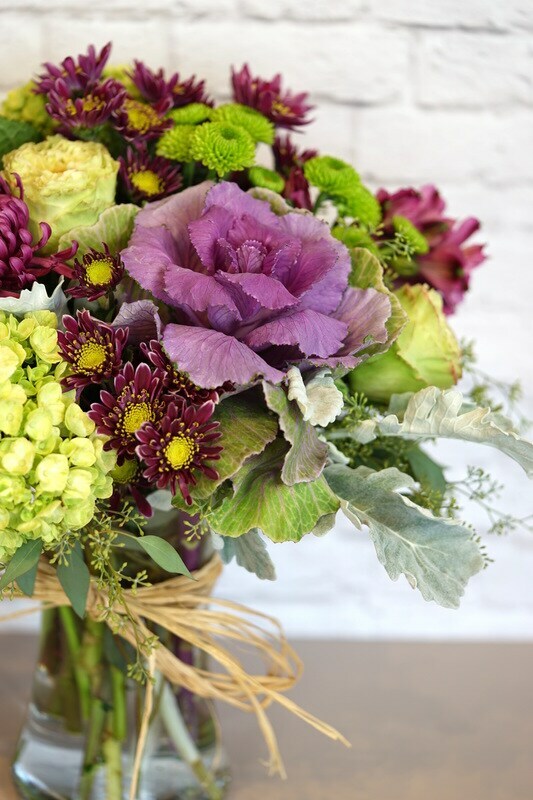 This rich, sophisticated color pops out from our Woodland Harvest Cornucopia arrangement in the form of blue thistle. 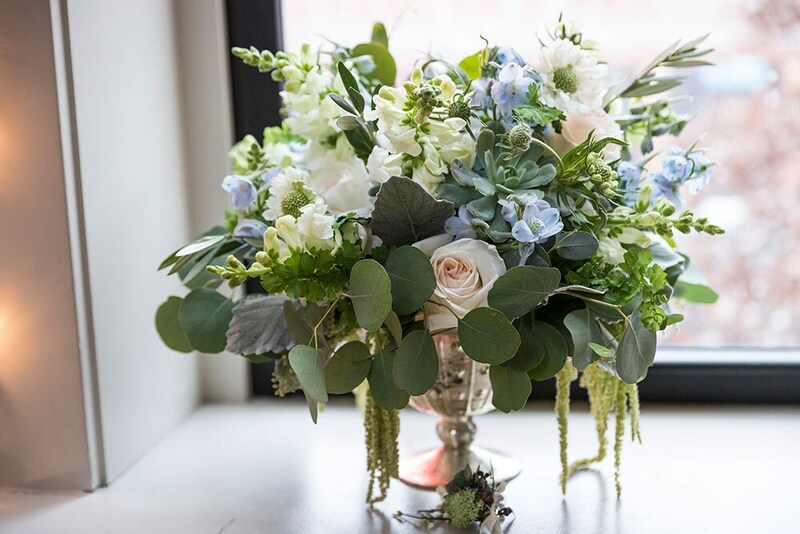 Tones of blue complement the peach roses and light green hydrangea to ground the piece, adding a calming element to our take on a cornucopia for the 21st century. Riverside: "Cool and calming, strong and stable." Grey is having a major moment right now, and we are not immune to its charms. 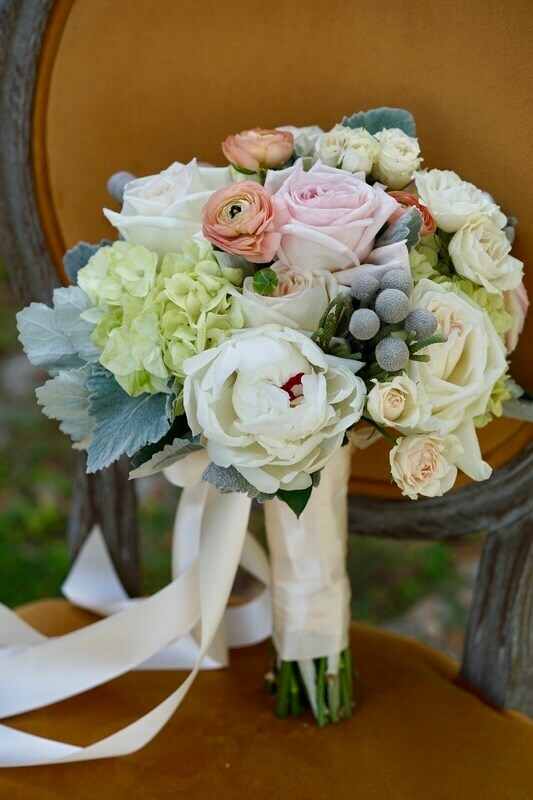 We added this elegant grey tone, Sharkskin, into one of our seasonal bridal bouquets to give it a modern feel. 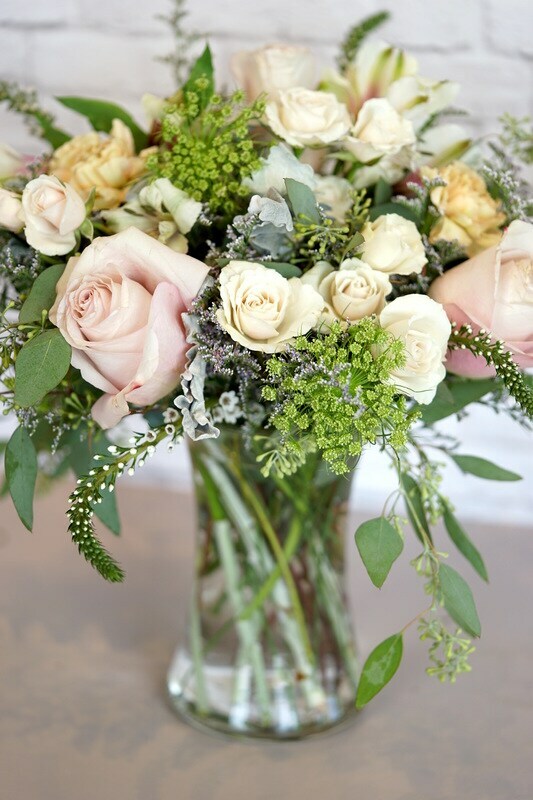 Silver brunia manifests this versatile color and pairs perfectly with the peachy hues of roses and the rich green of eucalyptus. Sharkskin: "Showcases practicality through a dependable but contemporary lens." 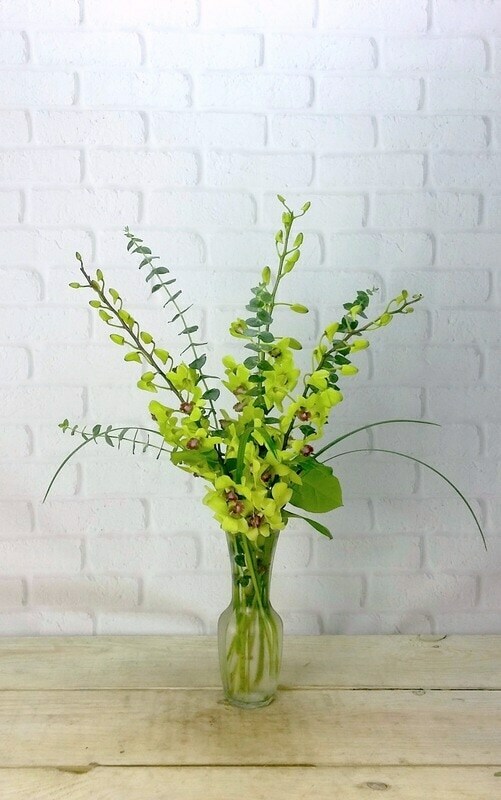 You can't miss this bold, dynamic color in our Falling for Foliage centerpiece. 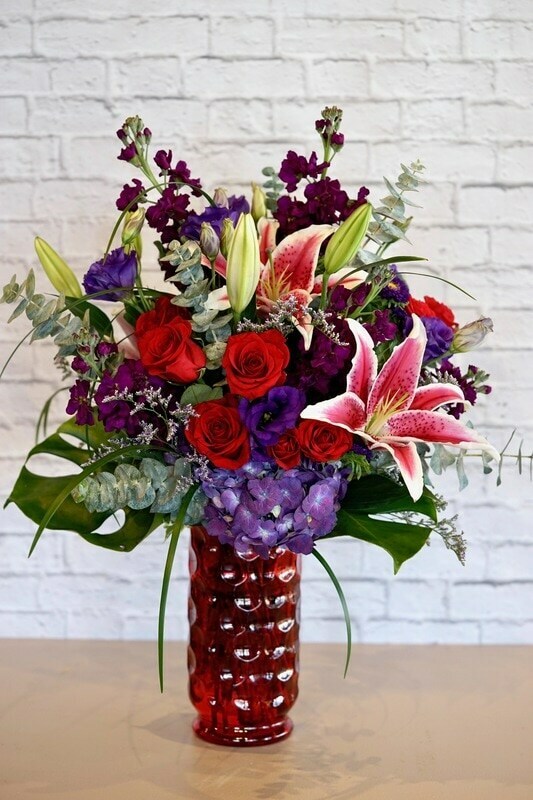 Mini Calla Lilies are eye-catching in Aurora Red. 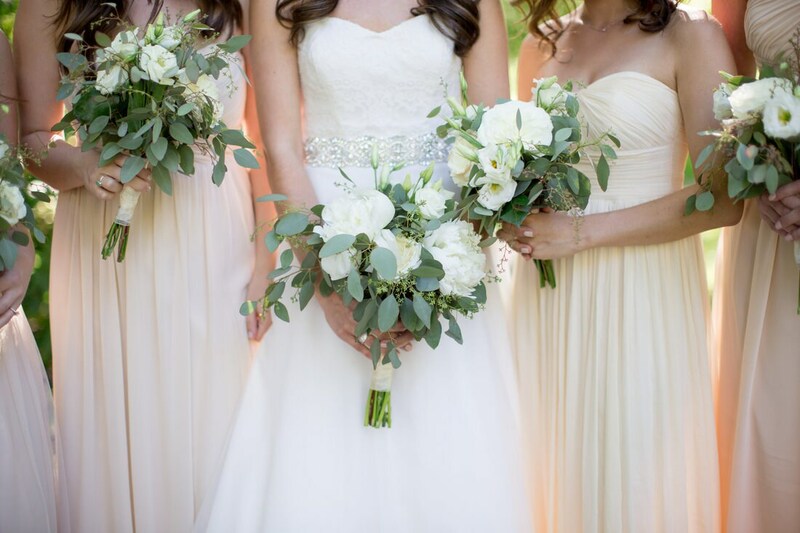 They stand out against the backdrop of greenery, but their color also complements pastel hues and deep blues. 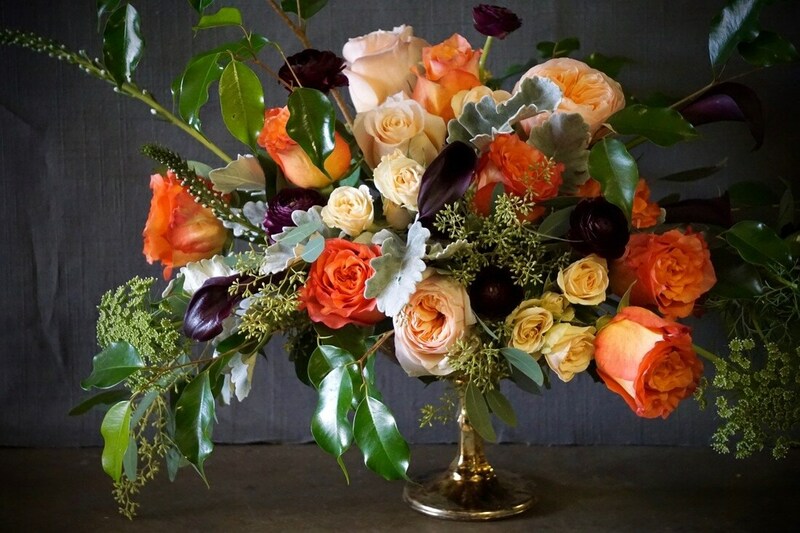 This is a centerpiece whose colors would work on almost any Thanksgiving tablescape. Aurora Red: "Exciting and dynamic, breeds unmistakeable confidence." This timeless, classic color is an anchor for our Fall Collection as a whole. 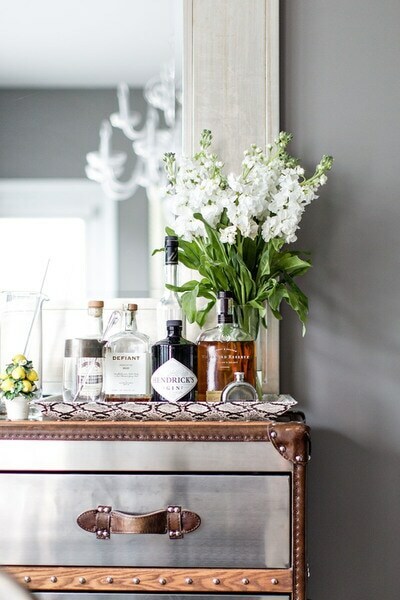 It is neutral enough to be matched with a variety of colors - but we especially love it with greens and greys. 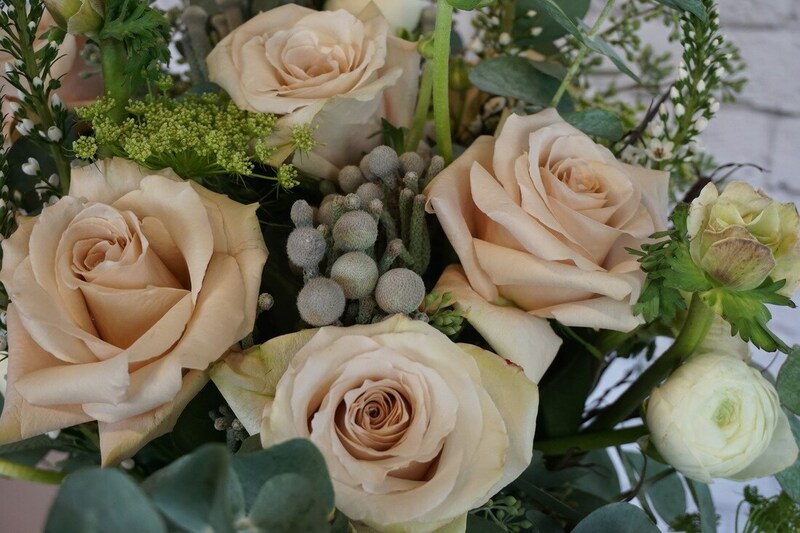 The true tone of these Quicksand roses is the organic essence of Warm Taupe - and we would strongly recommend these spectacular flowers for any bridal bouquet. Warm Taupe: "Trusted, organic, and grounded. Timeless." 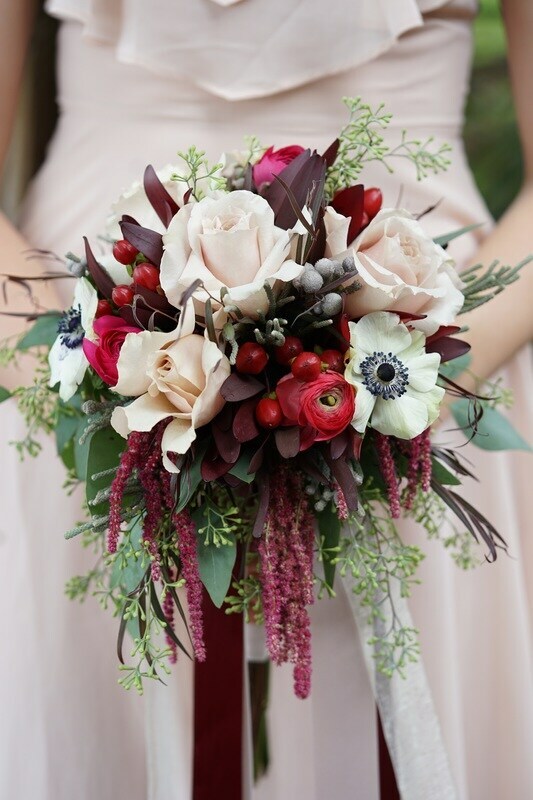 A rich, warm shade that seems to embody everything we love about Fall, Dusty Cedar was the reigning tone in one of our favorite Fall bridal bouquets. Hanging Amaranthus and Safari Sunset both display shades of Dusty Cedar, which bridges the gap between soft pastels and rich green foliage. Dusty Cedar: "Exudes warmth and welcome." Shades of yellow are no stranger to the season of Fall, but Spicy Mustard is a refreshing hue. 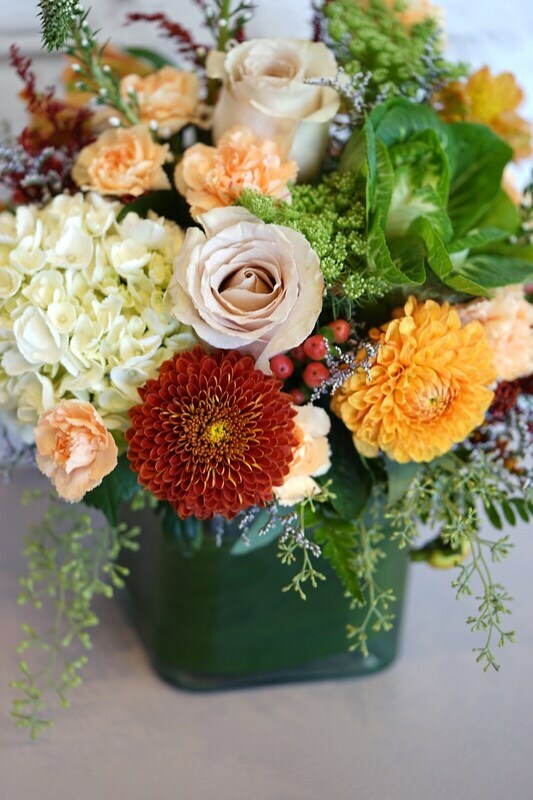 This muted, yet vibrant, shade of yellow is the foundation of our Golden Sunset centerpiece. 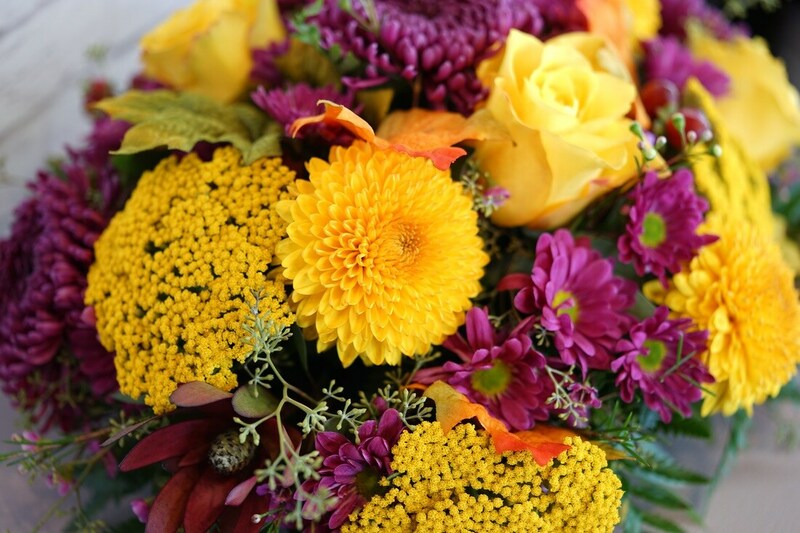 Spicy Mustard tones in the copious disbudded mums and yarrow make for a Fall centerpiece as beautiful as a sunset. Spicy Mustard: "Adds a splash of uplifting vibrancy." Potter's Clay is a strong earth tone with a robust, elemental nature that is well-versed in portraying sophistication. 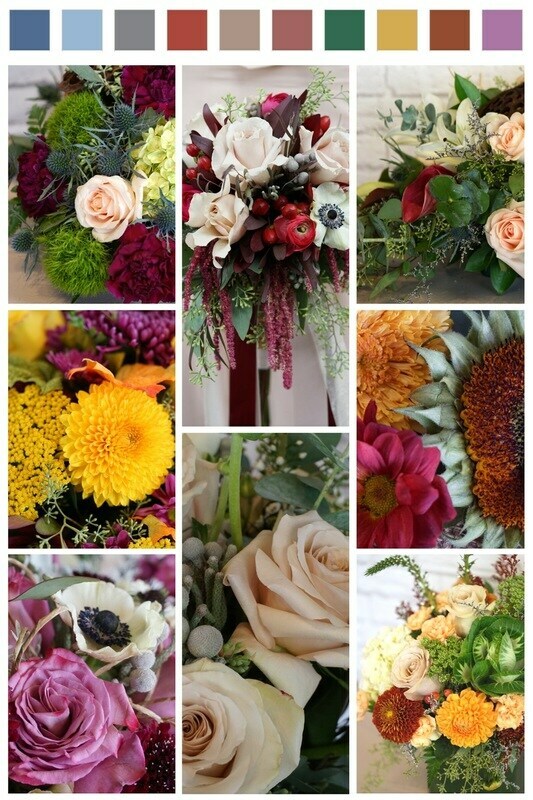 Fields of Autumn, which sports Potter's Clay hued dahlias, is the rustic superstar of our Fall Collection. The combination of Potter's Clay with orange, taupe and green is a Fall color palette that we're in love with. Potter's Clay: "Gives a grounded feeling that's anything but flat. A shade with real substance; a strong foundation." By definition, bodacious is adjective used to describe excellent, admirable, or attractive attributes. This hue of purple lives up to it's name. 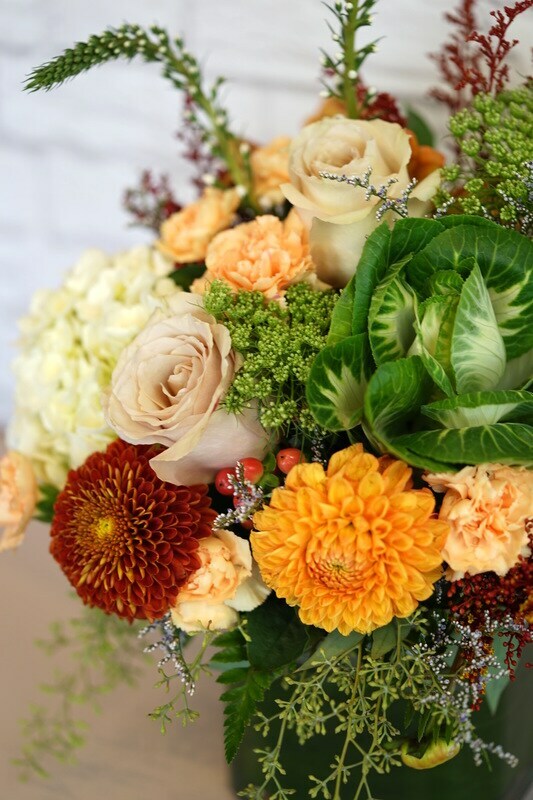 Bodacious' presence in a Fall palette may seem unusual, but it works for us. 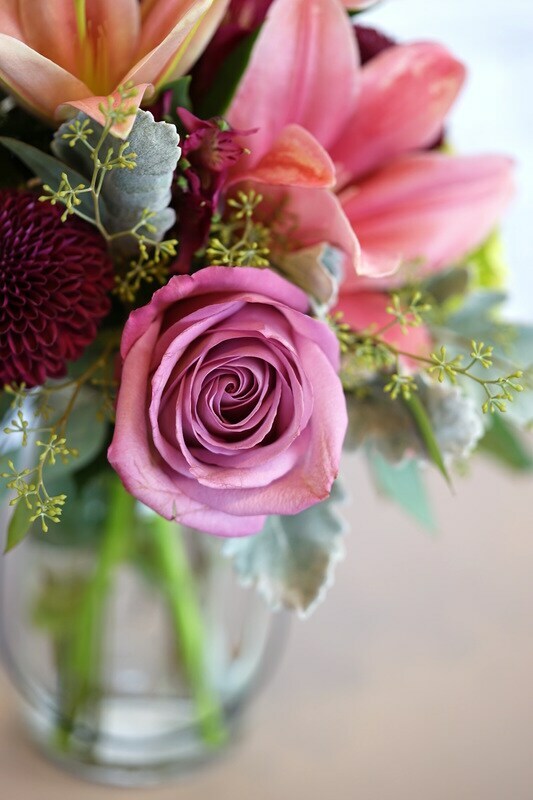 The "moody blues" rose, shown in this Fall bridal bouquet, is our "go-to" bloom as that lovely, bodacious shade of purple adds life to whatever color palette you place it with. Bodacious: "Lends itself to vibrant color combinations. Versatile. Turns fashion accents into fashion statements ." To see the full Pantone Fall 2016 Fashion Report, click here. Hello, friends! It is with great pleasure that we bring to you a few snapshots of our all-new Fall 2016 Exclusive Collection. In more ways than one, you could say that our we gave our usual fall products quite the make-over. Rather than the traditional colors and product that we've offered for all of the previous fall collections, we branched out to new and trendy autumn-inspired color palettes. 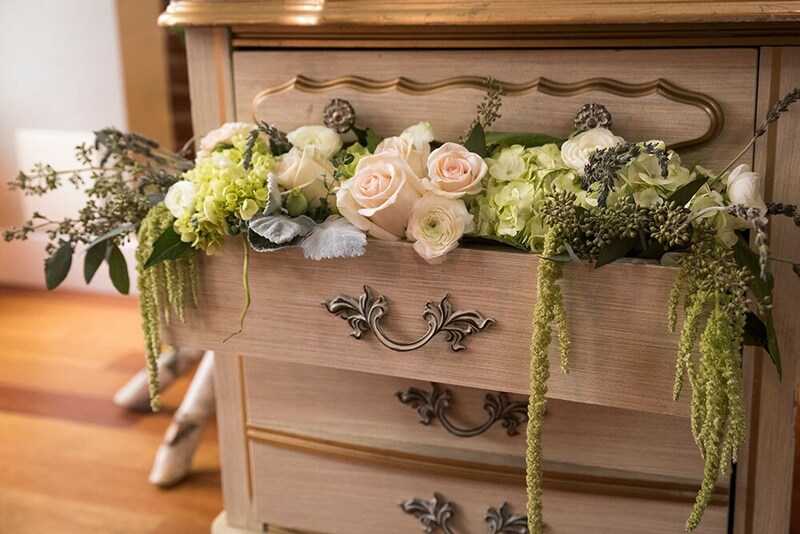 Pinks and burgundies, purples and rich greens, soft beige and pastels were a few pairings that influenced our designs. Not only did we expand our color palettes, but we also revamped our product selection to include premium, trending florals of the season. We are sourcing fantastic new product from top of the line farms at the most competitive prices you'll find. 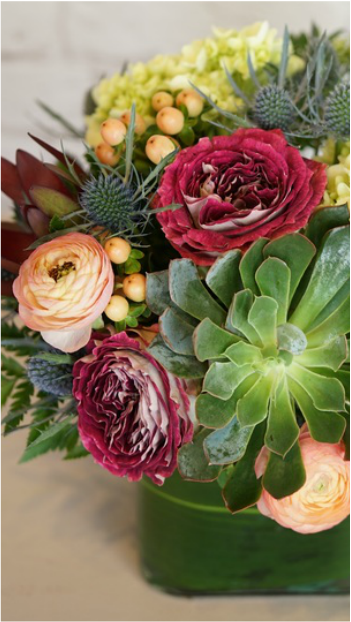 Beyond Alstroemeria and roses, we're introducing succulents, scabiosa, garden roses, kale, and much more! 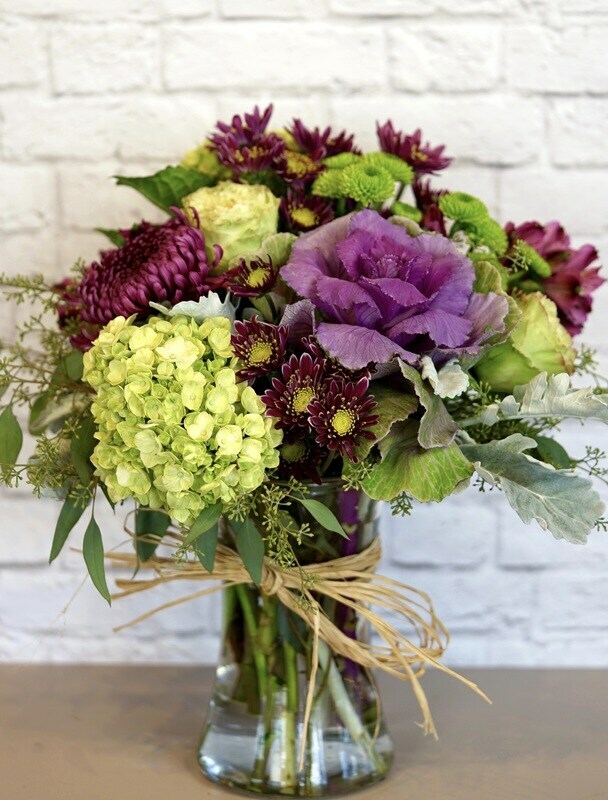 We're a cut above other standard florists and grocery stores because of our sophisticated array of color palettes and extra special product that we're offering this season. We poured our hearts into this new collection in hopes to bring you, our lovely customers, the very best. We are proud of our newest additions and hope you love them just as much as we do! Below are a few pictures of our fall favorites. Check them out! It was our goal to rise above the standards of tradition with this collection. 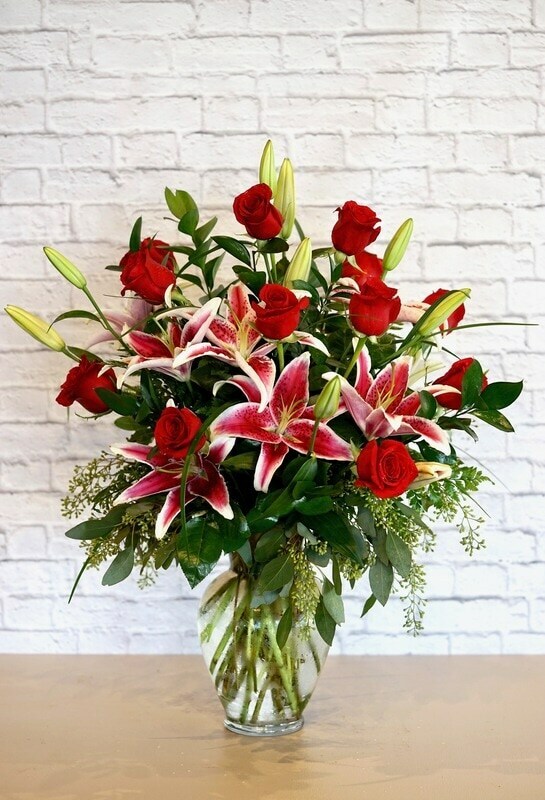 Comparing the color palettes and flowers we offered previously to this collection, there's no denying that we have made a major breakthrough in our world of flowers. We hope you enjoyed learning a little about our newest collection. 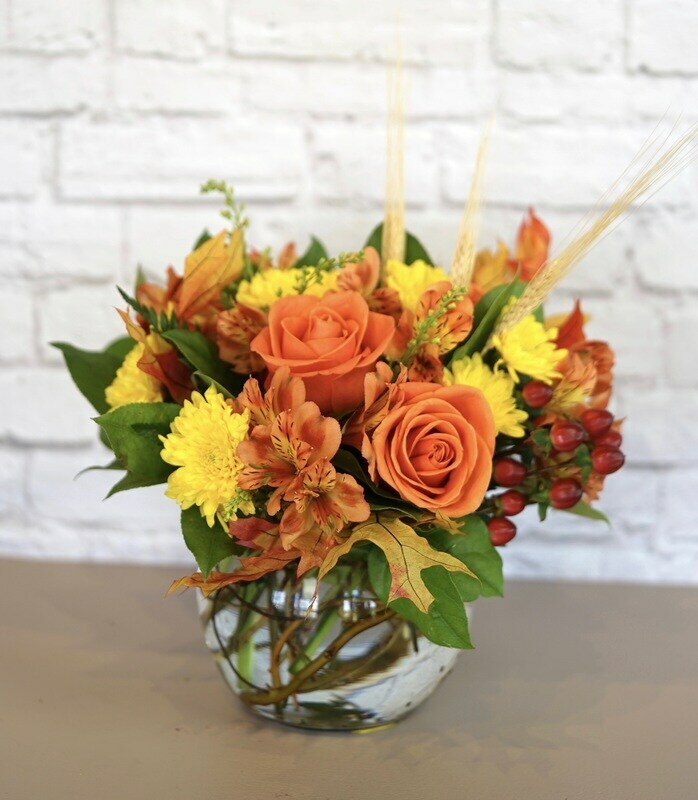 Now all you need is a PSL and one of our fresh fall arrangements to feel like the season is here! 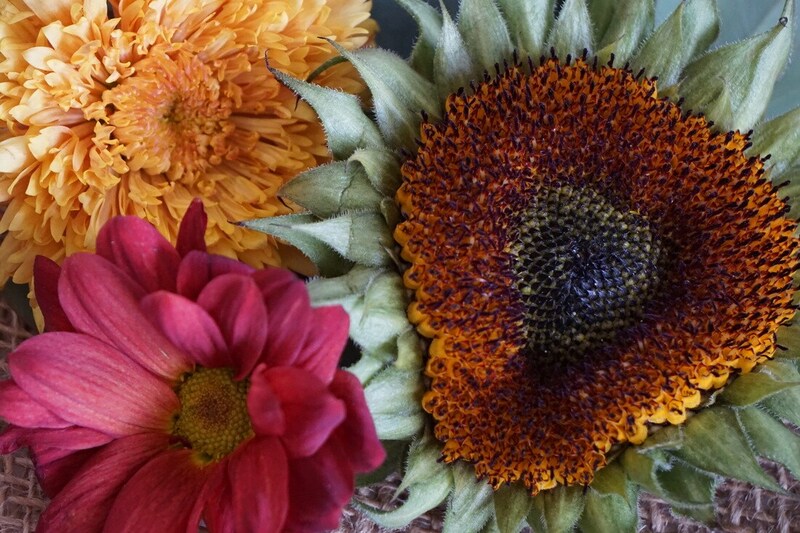 Stay tuned for more information about our fabulous fall centerpieces to come in another blog post. 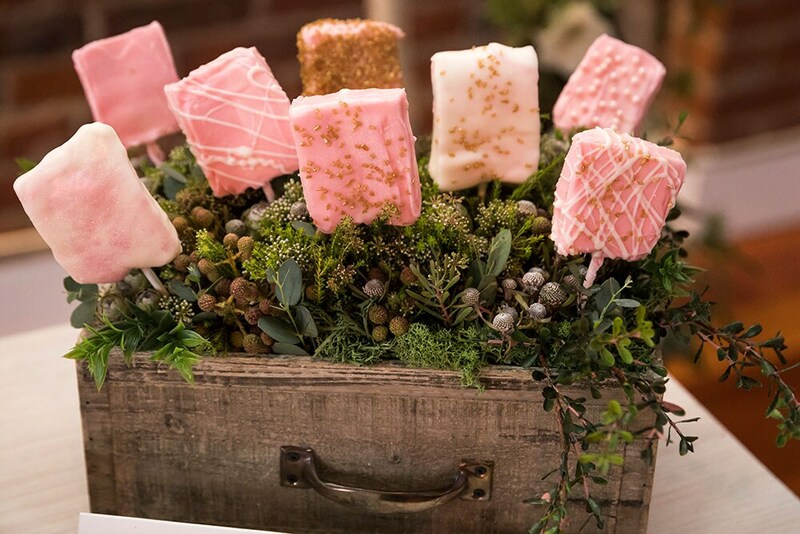 We focused on catering to all different styles of Thanksgiving tablescapes and fall dinners with this year's centerpieces. You're going to love them!